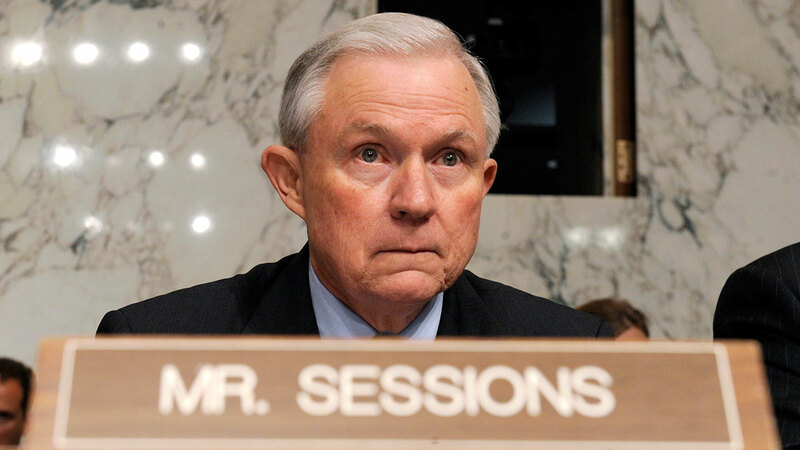 WASHINGTON -- Attorney General Jeff Sessions is seeking the resignations of 46 United States attorneys who were appointed during the prior presidential administration, the Justice Department said Friday. Many of the federal prosecutors who were nominated by former President Barack Obama have already left their positions, but the nearly four dozen who stayed on in the first weeks of the Trump administration have been asked to leave "in order to ensure a uniform transition," Justice Department spokeswoman Sarah Isgur Flores said. It is customary, though not automatic, for the country's 93 U.S. attorneys to leave their positions once a new president is in office. The Obama administration allowed political appointees of President George W. Bush to serve until their replacement had been nominated and confirmed. One U.S. attorney appointed by Bush, Rod Rosenstein of Maryland, remained on the job for the entire Obama administration and is the current nominee for deputy attorney general. U.S. attorneys are responsible for prosecuting federal crimes in the territories they oversee. They report to Justice Department leadership in Washington, and their priorities are expected to be in line with those of the attorney general.